When this card is Normal Summoned: You can add 1 "Chronomaly" card from your Deck to your hand, except "Chronomaly Nebra Disk". If this card is in the Graveyard and all monsters you control are "Chron..
2 Level 4 "Chronomaly" monsters. Once per turn, during either player's turn: You can detach 1 Xyz Material from this card, then target 1 face-up monster your opponent controls; change its ATK to 0 unt..
You can discard 1 other "Heraldic Beast" monster; Special Summon this card from your hand. Once per turn: You can discard 1 "Heraldic Beast" monster; this card gains 800 ATK until the end of this turn..
2 Level 4 monsters. Once per Chain, during either player's turn, if 2 or more monsters with the same name are on the field: You can detach 1 Xyz Material from this card; choose 1 monster among those w..
Psychic-Type Xyz Monsters on the field cannot be targeted by Spell/Trap effects. Once per turn: You can discard 1 "Heraldic Beast" monster; add 1 "Heraldry" Spell/Trap Card from your Deck to your hand.. When this card is Normal Summoned: You can add 1 "Gagaga" Spell/Trap Card from your Deck to your hand. You can target 1 other "Gagaga" monster you control; the Levels of that monster and this card bec..
2 Level 4 monsters. All monsters you control gain 800 DEF. You can detach 1 Xyz Material from this card, then target 1 Level 4 EARTH Rock-Type monster in your Graveyard; add that target to your hand. 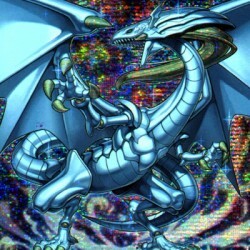 ..
You can Tribute this card; Special Summon 1 "Galaxy-Eyes" monster from your hand or Graveyard, except "Galaxy-Eyes Cloudragon". You can only use this effect of "Galaxy-Eyes Cloudragon" once per turn. ..
You can send 1 other LIGHT monster from your hand to the Graveyard; Special Summon this card from your hand in Defense Position. When this card is Special Summoned: You can add 1 "Galaxy" monster from.. If you control a "Galaxy-Eyes" monster: Target 1 card on the field; banish that target. You can only activate this card during your turn, unless you control "Galaxy-Eyes Photon Dragon". .. If you control a "Galaxy-Eyes" monster: Negate the activations of your opponent's Spell/Trap Cards and monster effects activated before this card in this Chain, and if you do, shuffle the negated card..
During your Main Phase: You can detach 1 Xyz Material from a "Battlin' Boxer" Xyz Monster you control, and if you do, Special Summon this card from your hand. You can only use this effect of "Battlin'..
2 Level 4 monsters. Once per turn: You can attach 1 "Battlin' Boxer" monster from your hand or Graveyard to this card as an Xyz Material. This card gains 100 ATK for each Xyz Material attached to it. ..
During the Battle Phase, when a Spell/Trap Card, or monster effect, is activated while you control a "Battlin' Boxer" monster: Negate the activation, and if you do, destroy that card. .. If your opponent controls a monster and you control no monsters, you can Special Summon this card (from your hand). If this card attacks a Defense Position monster, inflict piercing battle damage to y..
Once per turn, if this card is in Attack Position: You can discard 1 "Heroic" card; you cannot Special Summon monsters for the rest of this turn, except "Heroic" monsters, also Special Summon 1 "Heroi.. When this card is Normal or Special Summoned: You can add 1 "Star Seraph" monster from your Deck to your hand, except "Star Seraph Scepter". An Xyz Monster that was Summoned using 3 or more monsters, .. When this card is Special Summoned: You can Special Summon 1 "Star Seraph" monster from your hand, then you can place 1 LIGHT monster from your Graveyard on top of your Deck. An Xyz Monster that was S.. Cannot be used as an Xyz Material for an Xyz Summon, except for an Xyz Summon that uses 3 or more monsters as Xyz Materials. If you Normal or Special Summon a "Star Seraph" monster(s), except during t.. If this card is Summoned: Return all "Number" Xyz Monsters on the field to the Extra Deck. Neither player can Special Summon "Number" Xyz Monsters. Cannot be destroyed by battle with an Xyz Monster. T..
2 or more (max. 5) Level 4 Warrior-Type monsters. During each of your opponent's End Phases: Detach 1 Xyz Material from this card. This card gains effects based on the number of Xyz Materials attached..
2 Level 3 monsters. When this card is Special Summoned: You can target 1 "Djinn" Xyz Monster in your Graveyard; Special Summon it, then you can attach up to 2 cards from your hand to it as Xyz Materia..
Each time a "Utopia" monster(s) is Special Summoned to your side of the field, place 1 Hi-Five the Sky Counter on this card. All monsters you control gain 200 ATK and DEF for each Hi-Five the Sky Coun..
You cannot Special Summon monsters, except Machine-Type monsters. Once per turn: You can declare a Level from 5 to 9; all Level 5 or higher Machine-Type monsters you control become that Level. If a Ma..
2 Xyz Monsters with the same Rank, except "Number" monsters. (This card's original Rank is always treated as 1.) Cannot be destroyed by battle, and neither player takes any battle damage from attacks ..
2 Level 4 monsters. Once per turn: You can detach 1 Xyz Material from this card, then target 1 "Gagaga" monster you control; it can make a second attack during each Battle Phase this turn. When anothe..
Once per turn: You can target 1 "Gagaga" monster in your Graveyard, except "Gagaga Mancer"; Special Summon it, also you cannot Special Summon monsters for the rest of this turn, except "Gagaga" monste..